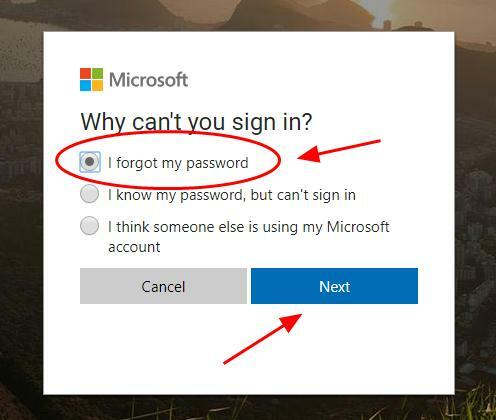 Forgot your Skype password? Don’t panic! 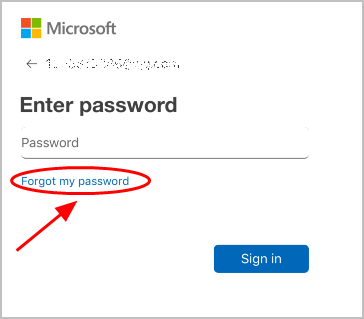 This article introduces two ways to retrieve password for Skype easily. How can I never forget my Skype password again? We all know that longer and more complicated the passwords are more secure. But it’s hard to remember all these long and complicated passwords composed of different strings that have no meaning to you. Guess what?! 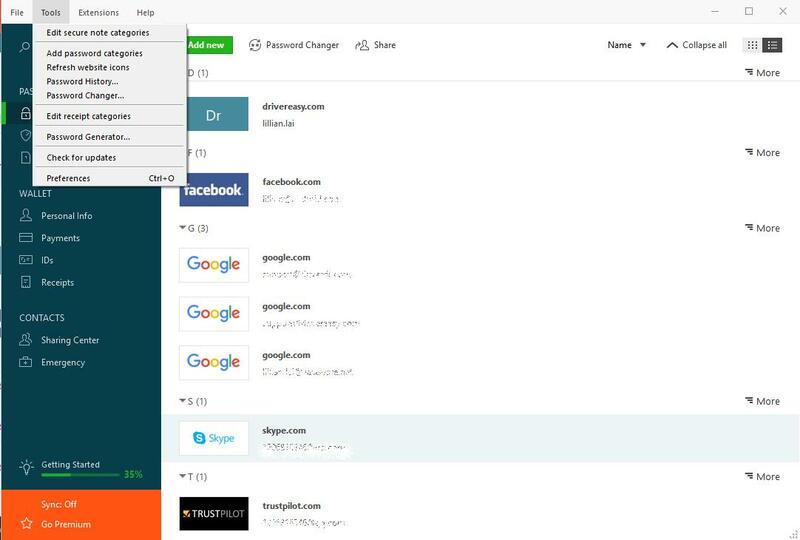 Now you can easily and automatically manage all your passwords with Dashlane. With Dashlane, you’ll log into websites automatically and fill long web forms with a single click. 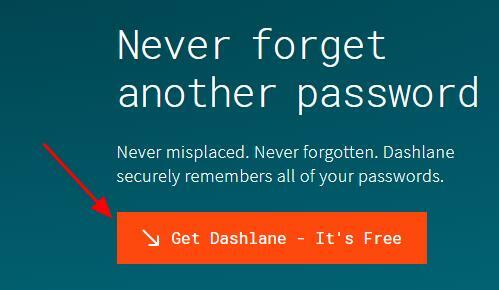 You’ll only need to remember your Dashlane Master Password and Dashlane does the rest. You’ll never need to remember of type another password again. Best of all, Dashlane is completely secure and easy to use. 2) Download and install Dashlane on your device. 2) Run Dashlane in your device. 3) You can now store your passwords, change your passwords, and automatically generate strong passwords (you can do this and more with the FREE version). You can also sync your passwords and data across all your devices (this requires Dashlane Premium) to save your time and patience. Now say goodbye to forgetting your passwords and struggling with long and tedious password recovery processes. Note: This method also works on your desktop Skype. 1) Open live account in your browser. 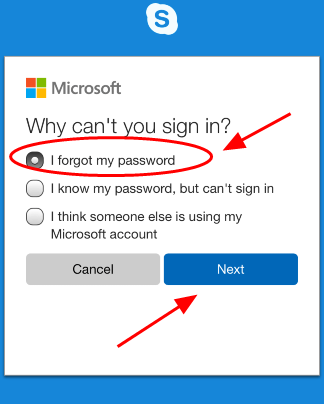 Or launch Skype on your desktop, enter your Skype email or phone number or Skype name, then click Forgot my password. 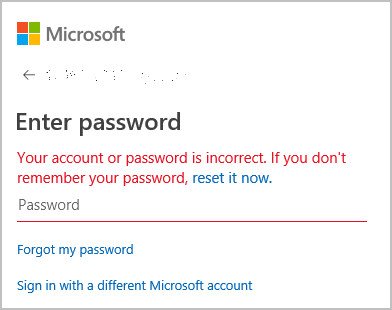 2) Select I forgot my password, and click Next. 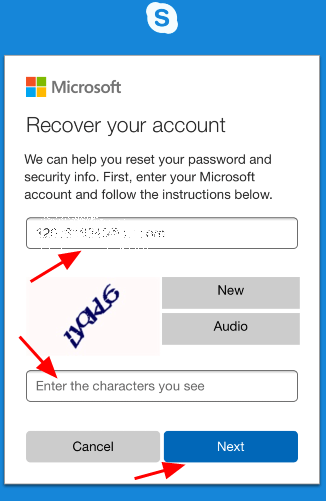 3) Enter your email address or phone number associated with your Skype account, or your Skype name, enter the character you see to verify (If you can’t see it clearly, click New to refresh), then click Next to continue. 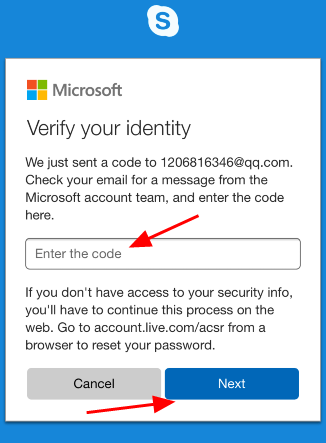 4) You’ll receive an email containing a code from Microsoft, enter the code and click Next. 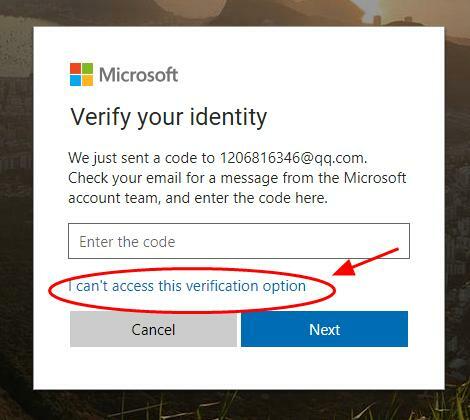 If you can’t access to the email address now, click I can’t access this verification option. 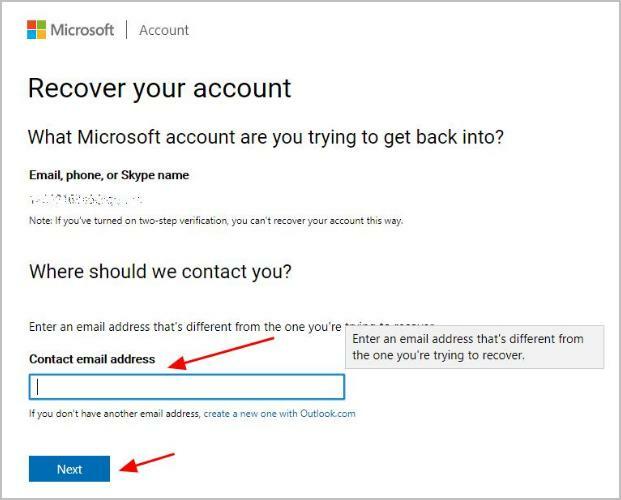 Then you can enter another email address that you can access to to recover your Skype password. Just follow the on-screen instructions to do. 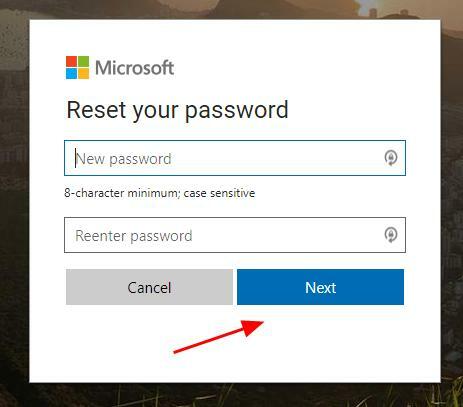 5) Enter your new password and repeat it to confirm, then click Next. Note that the password has to be 8-character minimum, and case sensitive. 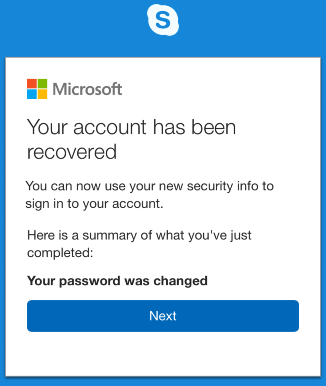 6) You’ve successfully reset your Skype password, and click Next to sign in again to your Microsoft account. This is easy, right? If this method doesn’t work for you, don’t worry. You can recover the forgotten Skype password on your phone. Note: the screenshots below come from iPhone, but the fixes also work on Android devices. 1) Launch Skype on your phone, and go to the Sign in screen. 2) Enter your Skype email address or phone number, or your Skype name. Then tap Next. 3) Tap Forgot my password. 4) Select I forgot my password, and tap Next. 5) Enter your Skype email address, and enter the characters you see to verify (If you can’t see clearly, tap New to refresh), then tap Next. 6) You’ll receive an email with a verification code from Microsoft, enter that code and tap Next. 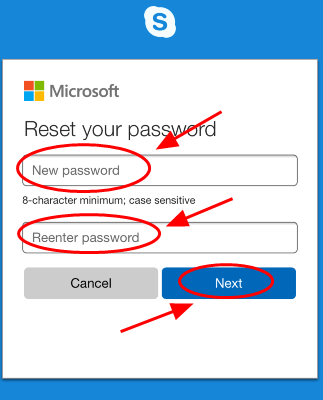 7) Enter your new Skype password, and re-enter it to confirm, then tap Next. 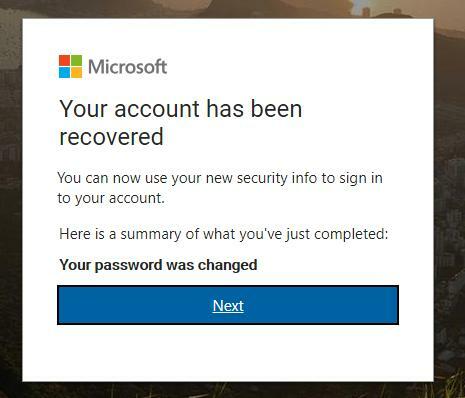 Tada, now you’ve reset your Skype password successfully. 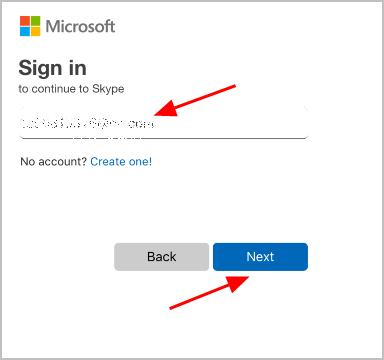 You can tap Next to redirect to the Sign in screen to sign in your Skype with the new password. That’s it! 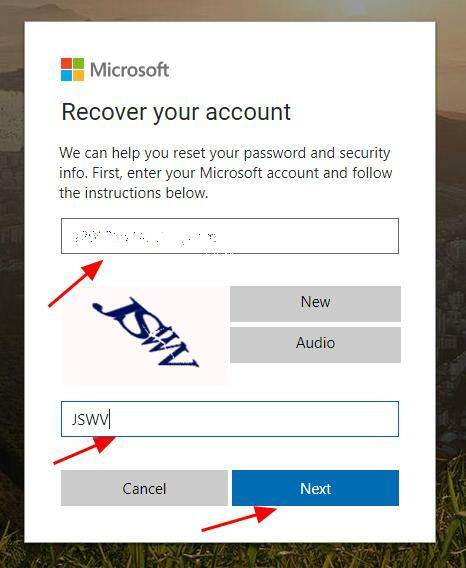 The easy tutorial on how to recover a forgotten Skype password. Feel free to add a comment below to share your thoughts.